Sun Tan is one of the major skin concern face by most of us. We all try to protect our skin from sun by using sunscreens and avoiding sun. But some times that harsh sun plays a trick and even a few minutes of exposure of your bare face can give you dull and tanned look. Home remedies do work but due to natural ingredients it takes time to show the result. Apart from those home remedies you can also include the de-tan cream in your skin regimen to get the faster results. 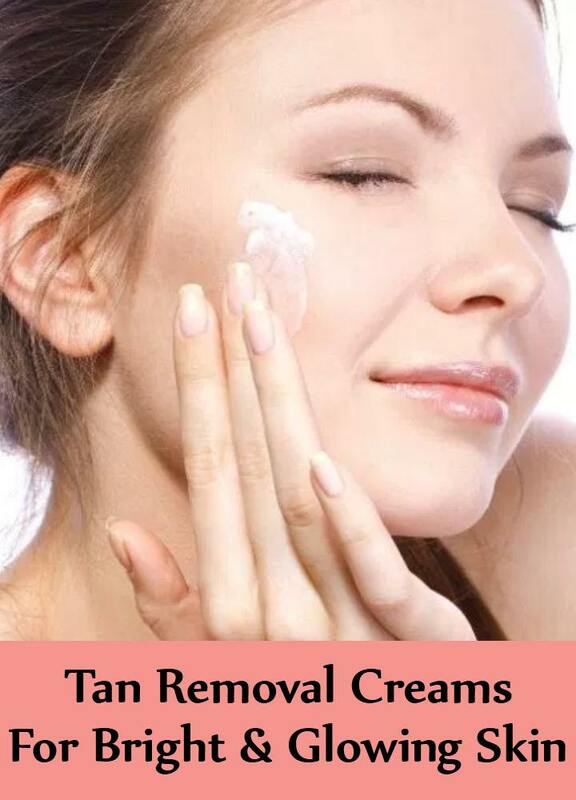 These De-tan creams help to remove the stubborn tan from your skin and give brighter and glowing skin with regular usage. Today we are going to discuss about some of the De-tan cream brands which you can try to get rid of the tan. Lets have a look. 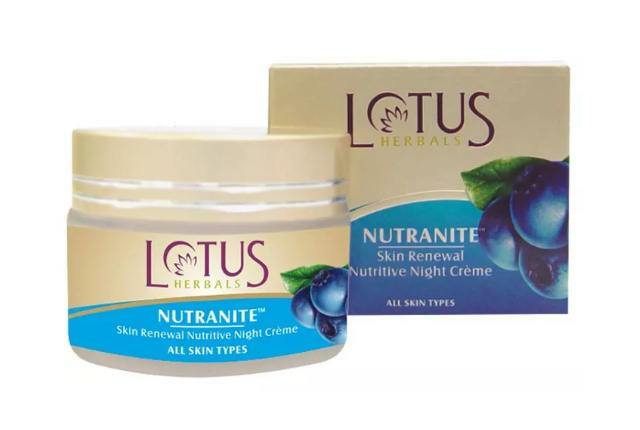 Lotus Herbals Nutranite Skin Renewals Nutritive Night cream claims to contain naturally derived alpha hydroxy fruit acids derived from Grapes, Lily Nectar and Nourishing Ginseng. It helps to renew the skin cells while you sleep. It claims to work with skin’s own repair and nourishment system to reverse the damage caused by sun rays and dehydration. It also helps to boost skin’s resiliecy, strengthen the natural defences and restore the firmness and smoothness. This is another best product from Lotus. 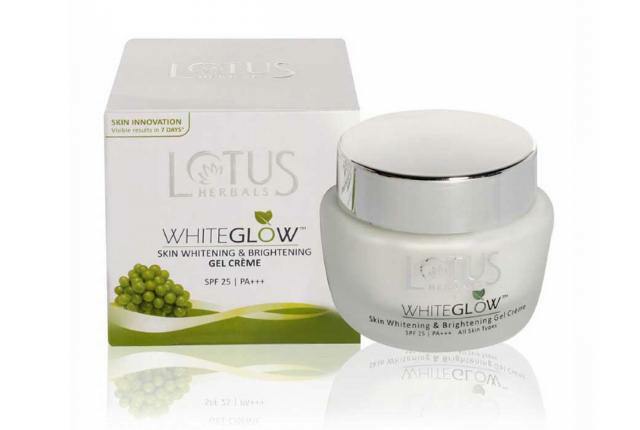 It is enriched with grape, mulberry, milk enzymes and Saxifraga extracts which are known as skin lightening agents. It claims to lighten, whiten and brighten the skin with regular usage. It also contains SPF25 PA+++ which protects the skin from harmful UVA and UVB rays. It has a light weight texture and gel creme consistency. It gets absorbed easily into the skin and does not leave any greasiness behind. It is suitable for all skin types. This is known as one of the best de tanning cream. 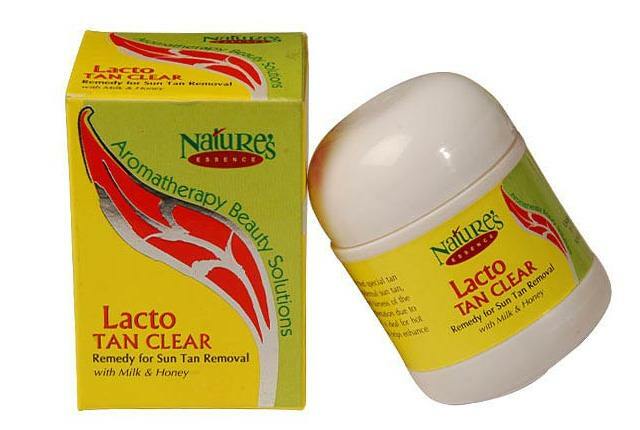 Nature’s Essence Lacto Tan Clear claims to contain Honey and Milk proteins which helps to remove the epidermal sun tan and restore the natural fairness of the skin. It also helps to prevent the pigmentation due to harmful sun rays.Apart from this it also helps to enhance the after facial glow. It can be used on hands and legs as well. This cream needs to be applied on the affected area and let it sit for 15 -20 minutes. Wash off afterwards with cold water. 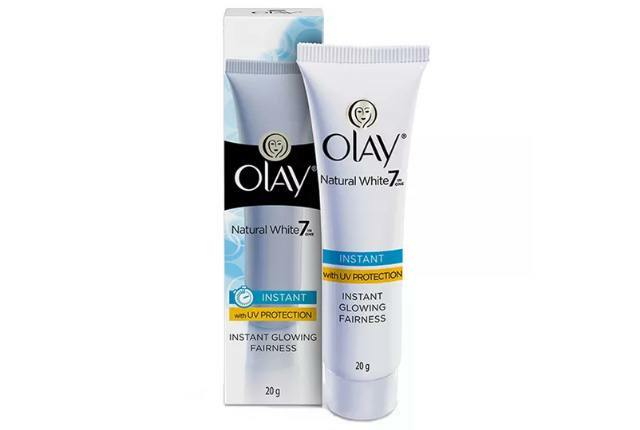 Olay Natural White Fairness Cream claims to contain twice the mulberry leaf extracts which helps to whiten the skin and optimize its texture. It claims to Nourish the skin from deep within, provide intense moisturizing, give 2X Whitening effect and reveal healthy and radiant skin. It also contains SPF 24 which protects the skin from harmful sun rays. Apart from this it also helps to work on the pigments and dark spots. Clarins White Plus Whitening Repairing Night Cream claims to contain the Sea Lily extracts, Daisy Extracts, Raspberry extracts, alchemilla extracts, derivatives of vitamin c & Vitamin B8. This night therapy helps to brighten the dull and uneven skin tone while you sleep. Apart from this it also helps to minimize the dark spots, freckles and discoloration of the skin with regular usage. It has a light weight texture and it is suitable for all skin types. 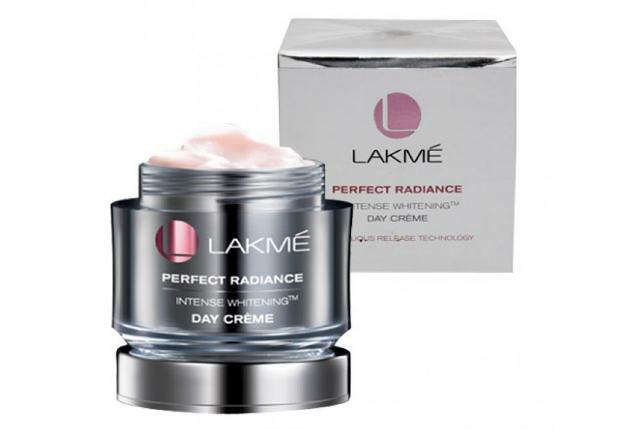 Lakme Perfect Radiance Intense Whitening Day Cream claims to fight the 6 block of fairness such as dark spots, acne marks, oiliness, uneven skin tone, dullness and tanning. Its Continuous release technology claims to release the potent skin lightening vitamins continuously into the skin through the epidermal skin layers through out the day. Its Deep Derma Action helps to control the excess melanin production with regular usage. 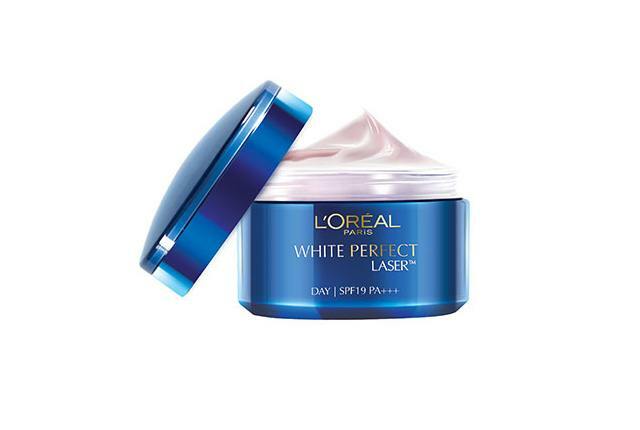 This is the de-tanning cream by L’Oreal. It claims to contain a highly efficient ingredient complex PRO-VANISH which helps to intensely whiten the skin by neutralizing the melanin production. It also contains UV filters system which claims to protect the skin from UVA rays to prevent skin darkening and dark spots. It claims to fade pigmentation, smoothen the skin and give brighter even tone skin after 8 weeks of regular usage. This is very well known de-tan cream brand. 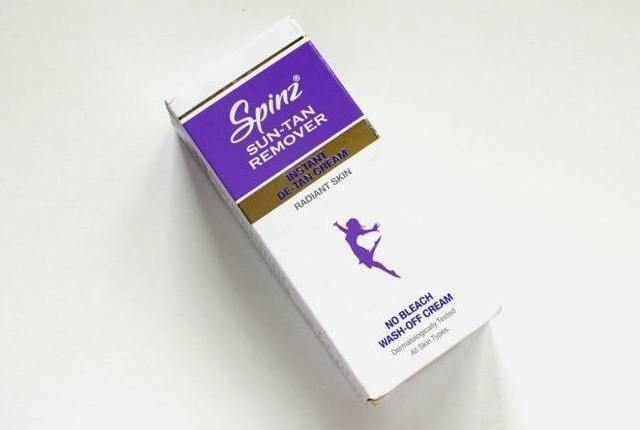 Spinz Sun-Tan Remover Instant De-Tan Cream claims to remove your tan instantly and reveal fresh glowing skin. It is a wash off cream which needs to be applied and rinse off after 5 minutes. . It does not contain any bleach and it is dermatologist tested. It is suitable for all skin types.